July 11 – Monday and Lazada refund are here! Yesterday, I finally got a notification that my return has been approved and a few hours later, Lazada emailed me with the transaction ID of my refund. I planned on withdrawing the money today but didn’t happen. One lesson I could get from this experience? Be more careful with ordering online, even the largest online shop can have problems. And I promise to make sure I check all reviews next time. one of the notifications I got about my refund. Since the day I declined the supposed part time job that I had, I promised to spend more time in the afternoon with Nate, we usually sleep in the morning and wake up at around noon. We’re both nocturnal, sobrang nahawa si Nate sa work ko. He doesn’t sleep ’til around 2AM max. Before, I would worry ‘coz I wouldn’t have time to write in the afternoon anymore and take care of my blog. But then I realized, this blog is something personal, I can do this anytime I want. Afternoons are for my son. So today, we went to LBC and withdrew the refund that I got from Lazada, then we passed by Mercury Drug and bought his vitamins, then we dropped by Jollibee to get something to eat before going back home. What’s funny was, nung pauwi na kami, antok na antok na sya, as in pumipikit na sa tricycle. haha. Cutie little guy. Seriously, has anyone not watched it yet? I think most kids have seen this movie already! There’s great moral that we can get from this movie, it’s awesome! Nate’s fave characters are Flash (sloth) and the “Police Bunny” haha. June 14 – Grocery Day!!! Today’s my grocery day. I do my groceries every other week (during paydays, of course, lol). And I feel so accomplished today. I was able to buy the things that I need to buy for Nate and for us here at home. Also made sure to drop by the bank and deposit my savings. I’m happy I didn’t miss anything. lol. Bills paid and good, now I can rest and wait for the next bill, bwahahaha! I left Nate at home, I don’t usually do, but I’m happy he didn’t cry or look for me. Minsang minsan ko lang sya di kasama pag lumalabas ako. June 15 – Bible Study!!!! Our church pastor just recently started a bible study for teens here at home. Today’s our 2nd meeting, and I’m happy more teens came and showed interest about God’s word. We sang worship songs, our pastor lead a devotion and talked about God’s word, and then they played with Nate right after. I hope that this continues, by God’s grace. I love how you were able to manage and balance your time. M-S sis, usually sa bahay lang talaga ako. lol. My goal is to spend more time with my son, and I hope through that, we make good memories. 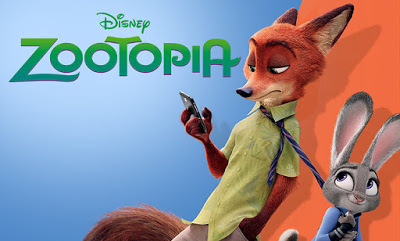 We watched Zootopia and ok lang for us, not really one of my son's favorite. Twice lang yata niya inulit. hehehe! Ayee lagi namin pinagpray ang bible study jan gaw pag nag prayer meeting kami dito. hopefully magtuloy tuloy na yan at mas marami na ang magsimba. You finally got your refund, good for you! I think you had a productive week and the best part of it was despite doing a lot, you still had plenty of time to spend with your son. Great to know that your refund came!!! I haven't watched zootopia yet.I think it's great you get to still write aboit your week.I can barely write in my journal. It's been a fruitful week for you having accomplished more bonding time with your son. I guess that's every mom's wish, more quality time with their kids. Hindi na din sya pinapanood ni Nate. haha. Nawalan na yata ng gana, lol. That's what I always want to do, be able to have time with him. You're right! And I hope that the bible study continues. I just started doing this, and I'm happy I don't miss out…YET! lol. Yes, I agree Mommy! I hope to spend more and more time with him, specially that he's growing up. I'm happy you choose to spend more time with him and it appears you do not regret it. My kids like Zootopia. I haven't seen it though. Is it good? Hubby says storyline is not common. Re Lazada, I'm sure you can get your refund soon. Among all other online stores, Lazada's been one with a clean record with us. We have watched Zootopia over and over and we never get tied of it! I don't, although nanghihinayang din ako minsan, I take it away from my mind immediately. There's so many things I'd like to do, but I try to make sure I have time for my son first. It's good, sis! I like it, actually. And yes, storyline is not common. lol. I'm glad to hear about your experience with them, yes, I got my refund, Lazada has a clean record with me too, 'til this happened. Haha, I love it too! I'm happy I'm not the only mom who loves it. lol. What a busy week! I've shopped with Lazada a few times and haven't encountered any problems but you're right it's better to read reviews. My son liked Zootopia!